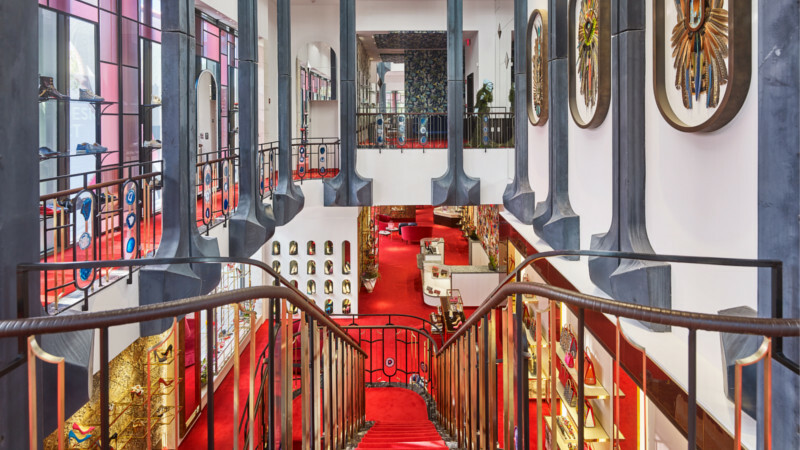 News - Christian Louboutin Online Boutique - Strike a pose ! It’s official. The fashion sneaker is here to stay as proven by Christian Louboutin’s Run Loubi Run collection. Never one to do things by half, the Maison has launched the collection online with the Spike Sock on a mission to stun. Combining Christian Louboutin’s inimitable savoir-faire with a distinctively urban sensibility, each piece embodies the Maison’s couture spirit with all the street-style cred of a sneaker. Launching for SS19 with a slick neoprene body and signature Louboutin studs, the Spike Sock has future cult classic written all over it, whilst the Red Runner and the 1 2 3 Run boldly mix materials and textures for a high-octane take on this modern wardrobe staple. From electric colours to tone-on-tone spikes, the Run Loubi Run collection is the perfect way to stand out with plenty of bounce. Whether on the red carpet or in the street, souped-up technical soles bring a sporty verve to sharp tailoring and an unexpected twist to eveningwear. Elsewhere, décolleté and ribbon details bring an ultra-feminine softening touch to a supercharged aesthetic. Overflowing with optimism and the city’s raw energy, the Run Loubi Run collection will be available worldwide on ChristianLouboutin.com and in all Christian Louboutin boutiques from the 30th of January.